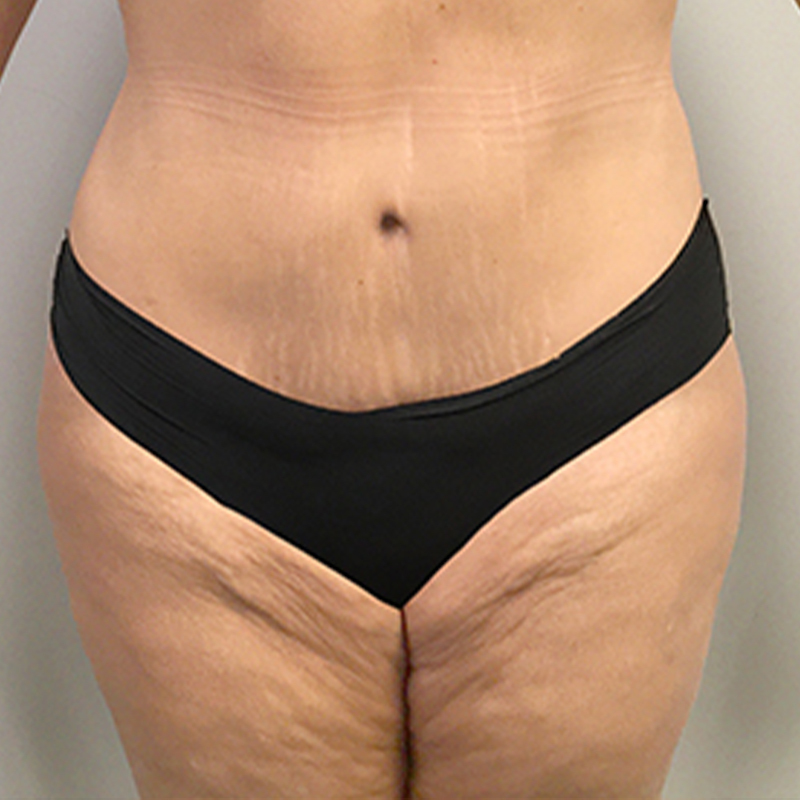 34 year old female desired a smaller abdomen and removal of skin and fat. During her consultation with Dr. Sajan she was noted to have a large diastasis of her rectus abdominal muscles which occurred during her pregnancy. She underwent tummy tuck(abdominoplasty), rectus muscle plication(repair of her diastasis), and liposuction of her waist.